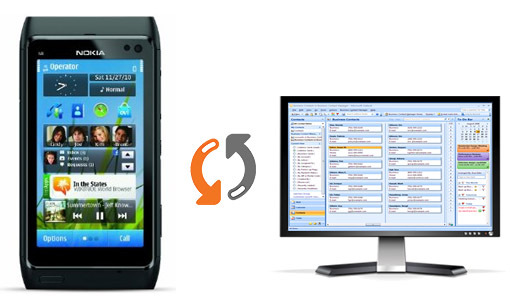 CompanionLink announces support for synchronization with Nokia Symbian devices via Google. CompanionLink installs on the PC and syncs contacts, calendar and tasks with any Google/Gmail account. Google then syncs wirelessly and automatically with Symbian devices from Nokia using Nokia’s Mail for Exchange app.Two-way sync is supported so that changes made on the phone will sync back to the PC. This entry was posted in Announcements, CompanionLink Products, News and tagged nokia outlook sync, nokia symbian sync, symbian outlook sync, symbian sync by Andy Sheragy. Bookmark the permalink.